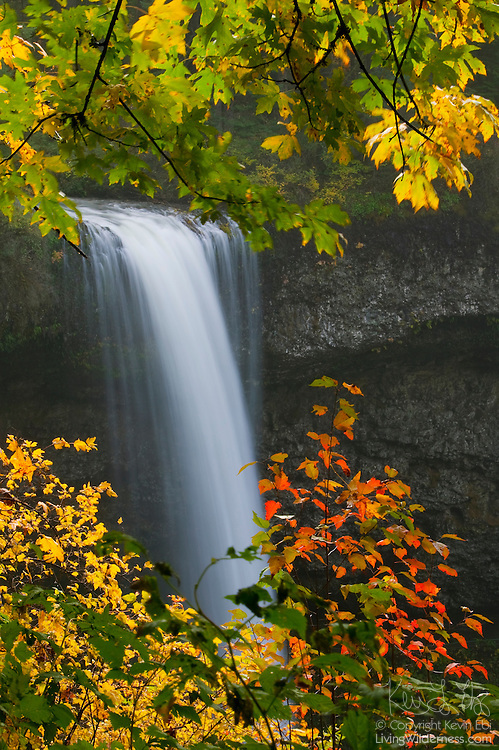 South Silver Falls, a 177-foot (54-metre) waterfall located in Oregon's Silver Falls State Park, is framed by maple leaves showing their fall colors. Copyright 2007 Kevin Ebi/LivingWilderness.com. All rights reserved.